Are you the owner of a blank billboard? Chances are that you are missing out on thousands of daily impressions whether parked or on your way home. At an average amortized cost of less than $2 per day, you could be generating hot leads every day. 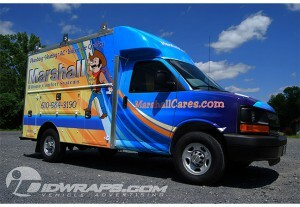 CALL US TODAY for your free quote on any vehicle or fleet wrap advertising solution. Vehicle wrapping has become nearly standard for many successful businesses whom find the old telephone book advertising to be a thing of the past. With our national partner network of 3M Certified installation and service centers, IDWraps brings quality car wraps, van wraps, and truck wraps to the entire US, including Hawaii. A quality 3M wrap from IDWraps can boost your image and consumer confidence when compared to your competition’s plain looking trucks with traditional lettering or poorly executed vehicle wraps. 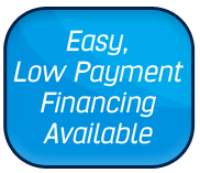 We’ve had many clients express that a single truck wrap may be completely paid for within weeks of its installation as a results of the influx of new leads. IDWraps is a nationally recognized 3M MCS Certified wrap provider with work and quality control processes published by all the leading industry magazines including Sign and Digital Graphics Magazine, Signcraft, and Signs of the Times, which are read by over 60,000 inside industry professionals worldwide.